Style Source Magazine | Rusk W8less Spray Gel 5.3 oz. Home /	Brands / Rusk W8less / Rusk W8less Spray Gel 5.3 oz. A lightweight, non-greasy formula that won't weigh hair down. It's ideal for defining and shaping hair, while leaving it full-bodied and pliable. 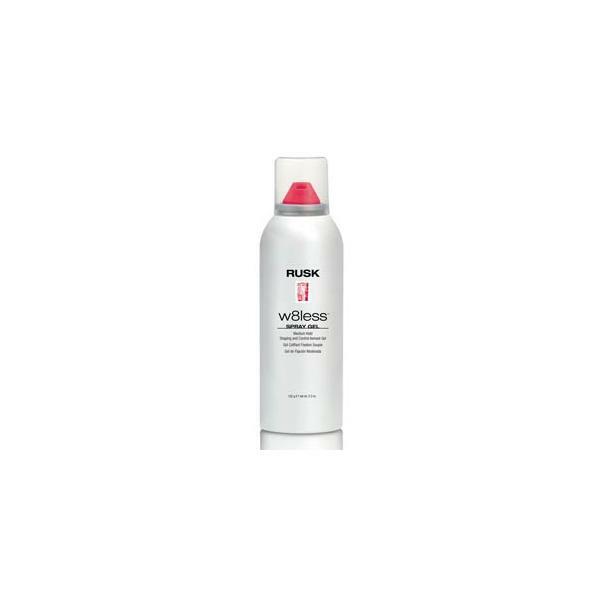 All W8less products contain Thermplex, a unique combination of ingredients that activates with the heat of a blow dryer to provide shine, control and condition.